I was really curious about how I would feel on week 5. This was when I stopped with previous training in the beginning of summer. During climbing season, my focus was to send my projects, not to build a strong body. My body wasn’t recovering much so I chose to stop training. This time, however, I can concentrate on training. After training for 3 weeks, I took a rest week (Week 4) and now I’m back on training week again (Week 5). On my rest week, I tried to avoid any activity that was physically demanding. On the first day of Week 5, despite the amount of rest I had, my body felt so lethargic. I felt weaker than when I started training. Pull ups felt harder, I couldn’t engage my core muscle much and I couldn’t squeeze pinches as hard as I could before. I felt weak and heavy doing other activities, such as backcountry skiing, mountain biking or even yoga. I knew this training would be hard on my body considering how exhausted I was from previous training, but how weak I felt on every other activity made me a little concerned about my fatigue, especially after a rest week. My trainer told me training has ups and downs, I don’t necessarily see gains from training when I think I would. I thought my body would feel well rested and fresh after a rest week, but according to him, I may not feel it right away. On my second training day of Week 5, I suddenly started to feel stronger. My body felt lighter and was easier to control swings on dynamic moves. Pull ups were easier and my body was not as tired from some training exercises as before that I could do shorter rests in between. I was very surprised to feel so much difference so quickly. I’m learning so much about how my body works on this training program. 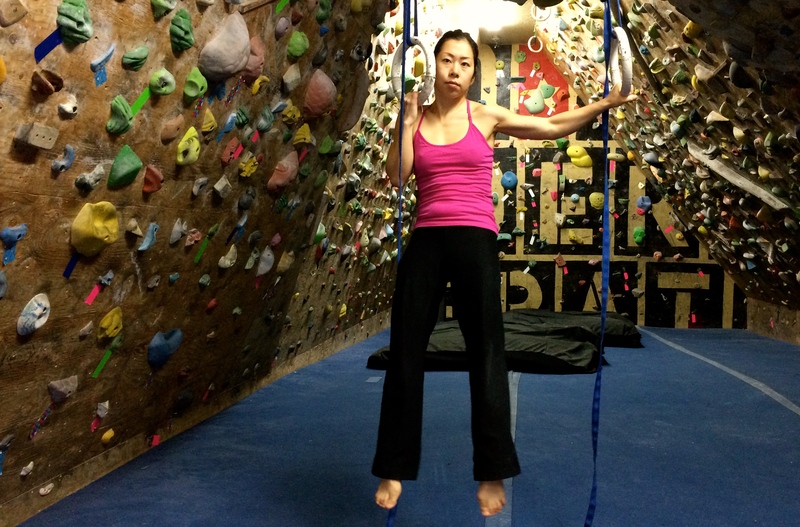 Learning how my body feels like when I can train/climb or need rests. I tend to have too many climbing days without rest days, especially on climbing trips longer than a week. When I don’t take rests as I needed, my body crushes and I need much more recovery time than I would if I were to take rests at the right time. I will be doing another 3 weeks of training followed by a week of rest again. As I continue the training program, I’m sure I will have more ups and downs. I will be learning more about how to listen to my body. Yup, Bryan! It is the perfect time to train, and it will go on till next spring!